"Dance becomes a part of who you are! It makes you stronger, more sensitive, balanced and whole." 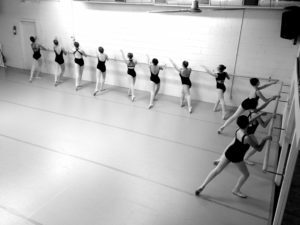 With the outstanding Cecchetti Method of Ballet at the core of our innovative dance curriculum, your passion for dance will blossom as you explore this approach that forms exquisite lines and stunning artistry! Our knowledgeable instructors will guide and encourage, as you extend and challenge your strength and creativity! You will appreciate the one-on-one personal attention that you receive here at SAA. Our dedicated staff provides individualized mentoring and goal assessment. The door is always open and you will feel supported at every level. Allow your confidence and ability to grow as we nurture you to reach your full potential! As part of the SAA family you will be invited to attend workshops, intensives and master classes with industry leaders. We’ll connect you to our non-profit partner, Suwanee Performing Arts, where you will be among the first to know about upcoming auditions and events for Suwanee Ballet, Community Art Players and Broadway in the Park. You are confident in who you are, you don’t have to be one of the pack. You dance to your own beat and you are proud of your independence. You cherish creativity, beauty and grace. You aren’t afraid of sweat or hard work and you treasure the friendships you make along the way. Are we right? Join our SAA family – we’re confident that you’ll fit right in! We believe our Impressionist level artist is at the point in her life where she has identified with her passion and is committed to stepping out and changing her world. We value this exciting time in the artist’s life as she works tirelessly to embrace her passion and perfect her craft.